Fenugreek seeds are rich source of minerals, vitamins, and phytonutrients. 100 g seeds provide 323 calories. The seeds are a very good source of soluble dietary fiber. Soaking the seeds in water makes their outer coat soft and mucilaginous. 100 g of seeds provide 24.6 g or over 65% of dietary fiber. In this Main dish, fenugreek seeds play a vital role of nutritional benefits. 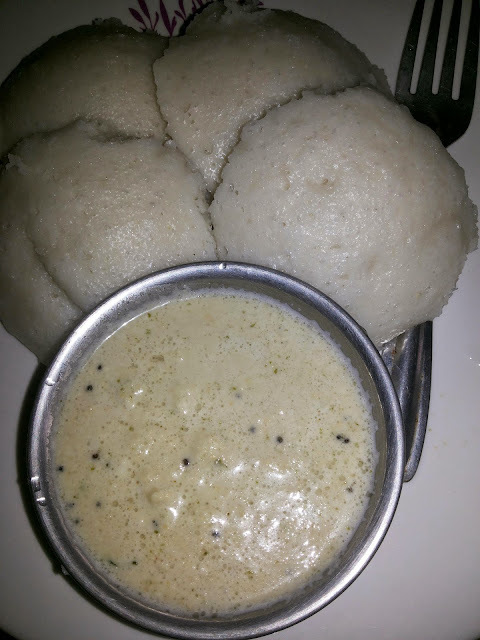 Soak Idli rice and urid dal together after washing several times. Soak fenugreek seeds with them. Allow them soaking for two hours. Wash the grinder and put all the ingredients together and grind it with sufficient water. Wait for 45 minutes to a smooth paste. Add one cup of water to the batter and mix it well. Or nearly wait for 9hours.to ferment. Grease the idli mould with gingelly.oil or ghee. Green gram is loaded with vitamins and minerals such as Vitamin A, B, C, E, iron, calcium, and potassium. It offers a number of health benefits with its high FIBER, protein and nutrient content. One serving (100g or 1/2 cup) of cooked green gram is only 100 calories, 0gm fat, 19gm cabs, 6gm fiber and 7gm protein. It helps to reduce cholesterol and lowers blood pressure. Green gram is an excellent alternative protein source that is nutrient-rich and vegan friendly. Even if you’re not a vegetarian, it’s good to include a variety of protein sources in YOUR DIET..
One cup of cooked green gram contains 2.83 mg of iron to reduce the risk of iron deficiency. Moreover, It helps to reduce obesity too.. really great work..!